It is said or mostly considered that 10th and 12th are the crucial years of your life. They decide where you want to be in life. Well, it is partly true. It is undoubtedly important for you to perform satisfactorily in your 10th and 12th standard but what is more important is for you to take your time and decide what you want to be in life. Your goals, your ambitions will give you directions. They will help you take the next step. Your career will help you decide which step should be taken and what oath should be travelled. For students aspiring to enter into merchant navy and imagine themselves in merchant navy uniforms, can enrol themselves for merchant navy training courses. It is always better and beneficial to select the right institute. The kind of institute you select has a great and overall impact on your career and your future life. If you find your interests while you are in school or in your junior college, you can enrol yourself for merchant navy courses after 10th. This, in a way, is advantageous. Students can prepare a strong base by learning about all the technicalities involved and by also acknowledging themselves with theoretical information and practical knowledge. This is achieved by and largely depends on reputed and professional merchant navy institutes that offer merchant navy courses after 10th. A number of sites prove helpful in knowing how to join merchant navy after 10th. It is okay and perfectly alright to not know about what you want to become in life is what should be your career. If you know it in your mind that merchant navy is everything you want to do and be in life then it never causes harm to take suggestions from experienced people. 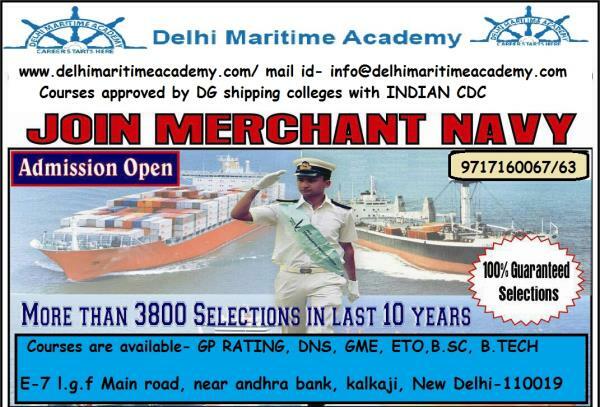 Check out or get in touch with institutes to know about how to join merchant navy after 10th. It will give you a clear idea about things and how you can make it through.